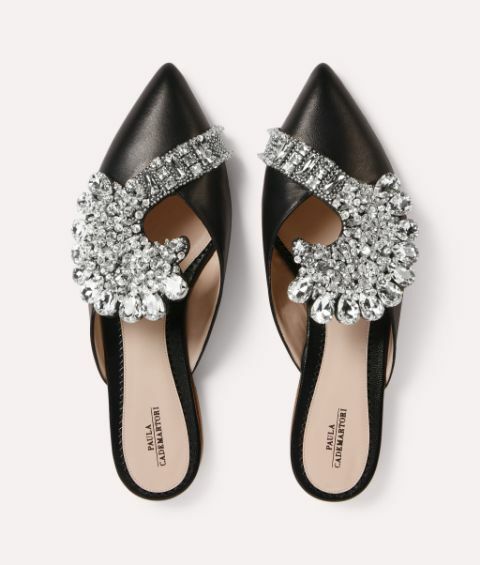 Few combinations are as glamorous as clear crystals set against black leather. 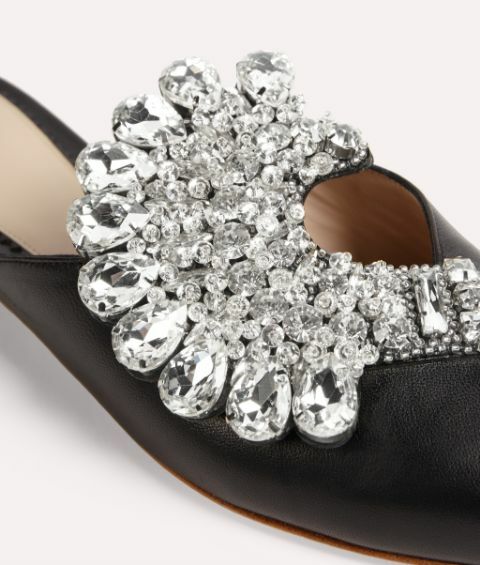 Flower Opulence takes this classic duo in a fresh direction with a modern slipper design. 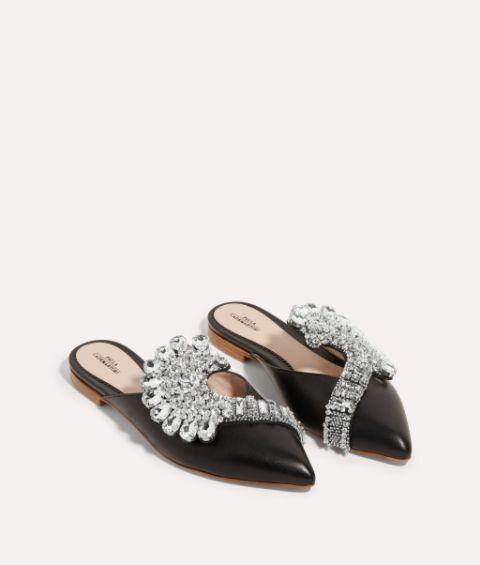 Boasting jewelled flower petals that wrap around an architectural vamp and elegant pointed toe, this online exclusive is crafted with care in Italy. A sophisticated choice for any evening event, from a night at the theatre to a fashion week afterparty, this luxurious flat is finished with a supple lining to complete a lavish design that emanates chic.